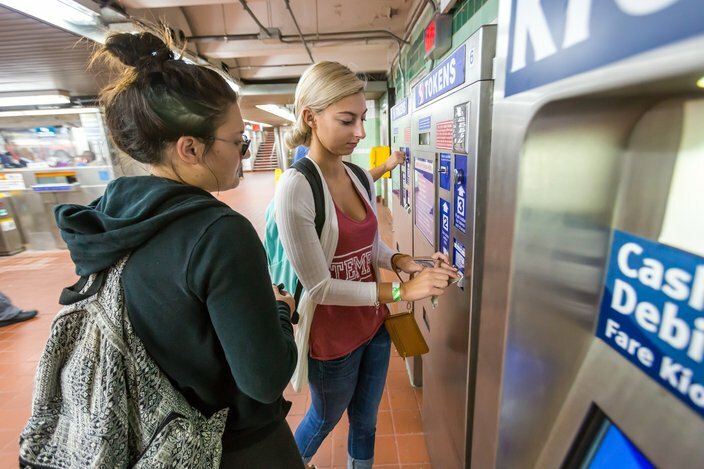 The changing times are evident at various SEPTA transit stations, where new electronic payment kiosks greet riders more accustomed to feeding cash into finicky token dispensers. At last, SEPTA is phasing out its antiquated fare system by adopting a smart card system more typical of 21st century transit operations. With that, the transit token, a relic long abandoned elsewhere, is going the way of the buffalo, at least in the United States. SEPTA is the last major transit authority to use tokens, which date back to the 1830s, when John Gibb's U.S.M. Stage minted brass coins to be used as fare payments in northern New Jersey. Once SEPTA completes its transition, tokens will be no more. For many SEPTA riders, the removal of the token constitutes no hard loss. 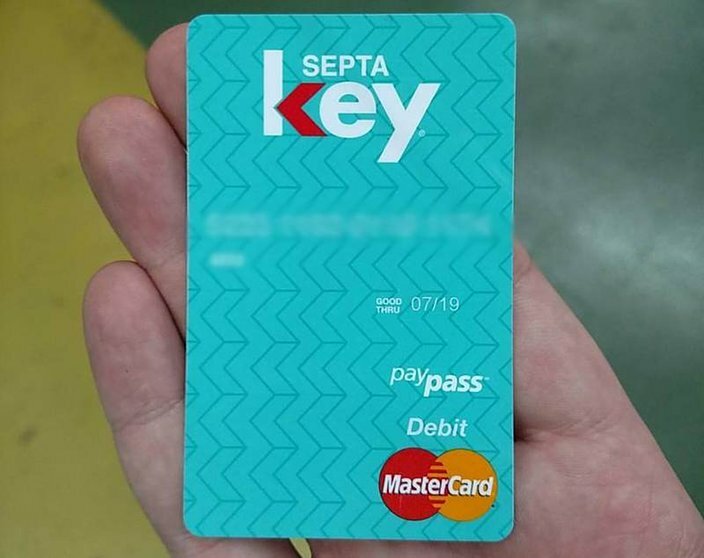 The arrival of the SEPTA Key card offers the digital convenience many have sought for years. 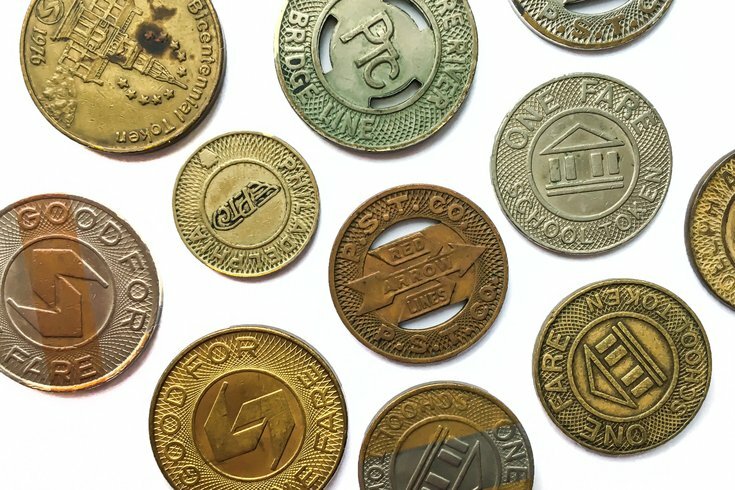 The use of tokens in Philadelphia, by both SEPTA and its predecessors, spans decades. So with the assistance of SEPTA's Dennis Hiller, PhillyVoice paused to look back at the token and gaze into the future. "We're going to phase this stuff out — that's the goal," said Hiller, chief officer of ridership, revenue, advertising and sales. "That's why we're doing what we're doing. There's no ifs, ands or buts here. That's the new system. In order to move accordingly, we need to do this." Across the country, the token's days seemingly have been numbered for decades. New York City began plotting the death of its token system in the 1980s, seeking an automatic fare collection system like those already used in Boston, San Francisco and Washington. NYC Transit installed its first electronic turnstile in 1994, giving birth to its MetroCard following years of delays. It took another nine years to discontinue tokens. By that time, Chicago had been operating without tokens for more than four years. The Chicago Transit Authority ceased accepting tokens in 1999, ending a 140-year history that dated back to the city's first horse cars. It didn't take long for other transit agencies to follow suit. San Francisco's Municipal Transportation Agency stopped issuing tokens in 2005. The Massachusetts Bay Transportation Authority in Boston quit selling them in 2006. The Metropolitan Atlanta Rapid Transit Authority ceased selling tokens in 2007. And Denver's Regional Transportation District finally retired tokens in 2013. 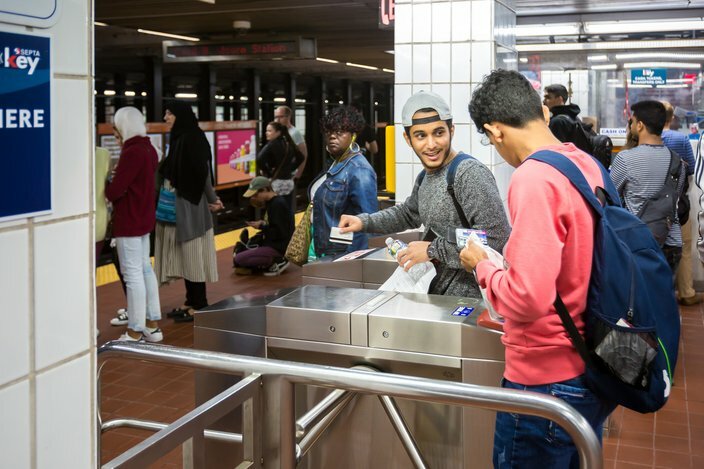 New, electronic turnstiles have replaced token-taking equipment at many transit stations, forcing token users to dispatch their fare at the service windows. At several stations, new Key card machines border the token dispensers of yesteryear. "It feels like we're stuck between the past and the future," said Dennis Wilson, 24, of Philadelphia, a SEPTA rider. Cecil B. Moore Station at Temple University is one of many SEPTA stations accepting tokens, transit passes and the newly-implemented SEPTA Key cards. SEPTA first began issuing tokens in 1968, the year it acquired the Philadelphia Transportation Company and its citywide network of buses, trolleys and subways. For years, they only were available to students for purchase. At 10 tokens for a dollar, they offered a 15-cent discount off the standard 25-cent fare. SEPTA made tokens accessible to all riders in 1977, introducing what was then termed as the "adult convenience token." But there was no discount. Riders purchased the tokens, at 45 cents apiece, simply so they didn't need to dig for change at the turnstiles. Discounted tokens arrived in 1982. At 71 cents, they offered a slight break on the standard 75-cent fare. SEPTA knocked off another cent one year later, packaging 10 tokens for $7. 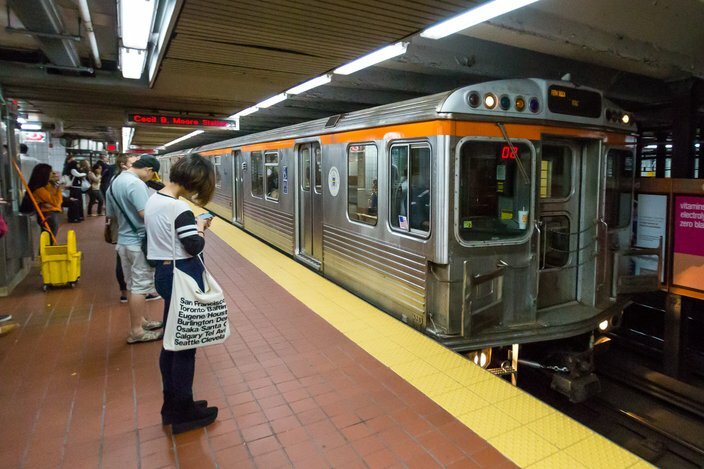 "When the token came about, it was to try to get as much cash off of the buses and the Market-Frankford Line and the associated lines," Hiller said. "In order to do that, there was an incentive. ... There was a differential and that differential was something we wanted to do in order to count less coin. Because it costs money to do that." SEPTA tokens continue to sell for a discounted rate — $1.80 compared to the standard $2.25. And the transit authority still issues school tokens, which are smaller in size. Though School District of Philadelphia students receive school passes, some suburban students still utilize tokens. But Key cards will replace them, too. The look and feel of Philadelphia tokens has changed at various points over the years. The Philadelphia Suburban Transportation Company, which once operated the Media-Sharon Hill Line, issued tokens with cutouts, a feature similar to transit tokens formally used in New York and Boston. In 1976, SEPTA issued a special Bicentennial token. SEPTA has used its current token, featuring a stripe across its center, for more than two decades. The authority has not ordered new tokens in more than 10 years, Hiller said. 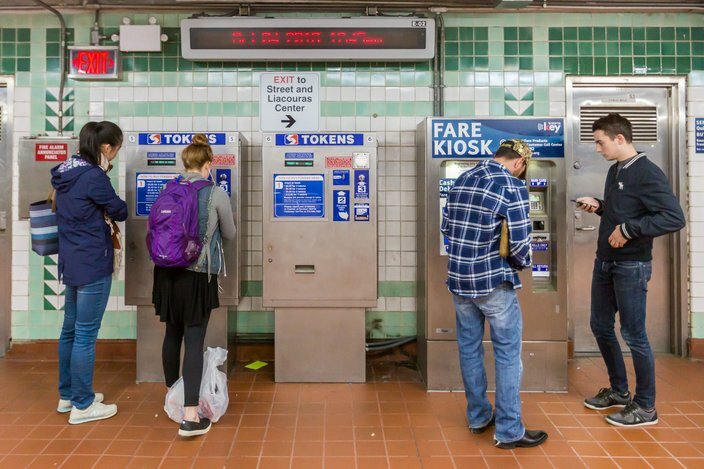 The number of tokens in circulation varies, but SEPTA officials say their revenue collectors process about 2 million each month. Placed end-to-end, that's enough SEPTA tokens to stretch the entire 12.5-mile length of the Broad Sreet Line — twice. Stacked one on another, there would be 10 piles of tokens as high as the 973-foot Comcast Tower. So who is using all of those tokens? Only about 24 percent of transit passengers — those riding SEPTA's bus, trolleys and subways — actually use tokens. The other 76 percent either pay the cash fare, purchase monthly and weekly Transpasses or utilize options available to seniors and people with disabilities. Most SEPTA passengers make decisions by calculating their cheapest option, Hiller said. To attain the value of a monthly Transpass, which offers unlimited transit rides for $91, passengers need to take at least 51 rides. "The more you use the pass, the cheaper it is," Hiller said. "But there are people who just use tokens, because that's what they do. ... They calculate the number of times that they ride. What is the cheapest?" For Ken Tucker, tokens make more financial sense. His SEPTA usage varies from week to week. When SEPTA eventually stops accepting tokens, Tucker said he'll miss them. "Oh yeah," said Tucker, 52, of Philadelphia. "I'm only an occasional rider. The cash costs like 50 cents a trip more. And you don't always have exact change." To be clear, SEPTA will continue accepting tokens as fare payment for the immediate future. But the transit authority will stop selling them sooner than later, and then eventually cease taking the bi-colored disks altogether. In Chicago, that day came five months after the CTA stopped selling tokens. In Boston, that window lasted much longer — nearly six years. SEPTA has not announced any timelines regarding its token usage. But their eventual destination is clear. "You melt them down and you scrap them," Hiller said. "It's money. That's what we do." That's the same fate other transit tokens have met, both in Philadelphia and other cities. Naturally, some survive, either purposefully or incidentally. "Ten-to-one, 99 percent of them have been melted down," Hiller said. But "I can't say that there aren't people out there that have this stuff, that might save it as a historian." Collectors on eBay hawk all kinds of transit tokens online, including both old PTC coins and current SEPTA tokens. Some tokens from other cities are listed for hundreds of dollars. Elsewhere online, the American Vecturist Association touts itself as the oldest American organization of token collectors, but no member from the Philadelphia area was willing to highlight their collections. A pair of Philadelphia coin dealers said there is little market for old transit tokens. Suffice it to say there seems little reason to stockpile SEPTA tokens. Jake Blumgart's SEPTA card, with the account number properly manipulated to avoid identification. Eventually, all SEPTA riders will be able to load money onto their Key cards and tap it at the turnstile as payment. It will act as a digital wallet in a fashion similar to EZPass. One transit ride will cost $1.80. For a rider transfer, the system will take another dollar. No one will need to swipe a magnetic Transpass or dig through their pockets for a token. And paper transfers also will become extinct. "We're just moving out of paper and tokens, into automation," Hiller said. A soft launch put Key cards in the hands of 10,000 transit riders in June, enabling them to renew their Transpasses without receiving a new card each time. Then came Quick Trips — disposable, single-trip tickets that riders can purchase from kiosks that, for the first time, accept debit and credit cards. In the near future, riders will be able to add money to their Key cards online, or at more than 1,000 external locations. And the token will become as useless as any relic replaced by digital technology. "I won't miss them," said Sam Monastra, 27, of Philadelphia, who typically forgoes tokens in favor of a monthly Transpass. "For me, the passes are more convenient because they're unlimited. With tokens, I was penny-pinching. And they're easy to lose track of."